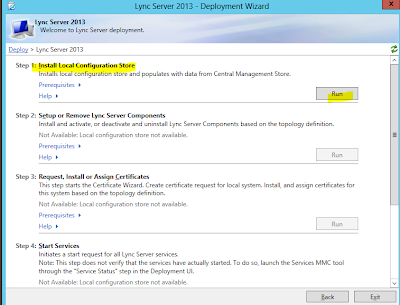 I would like to phase users from Lync 2010 to new Lync 2013 server in a phased manner. 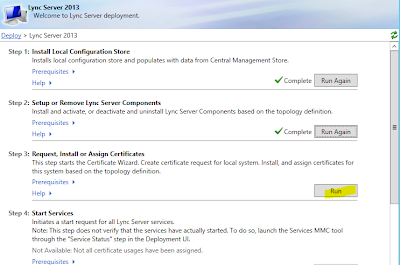 Currently I have Lync Server 2010 running and functioning including Lync mobility,Edge. So I am going to install & configure Lync 2013 server along with current Lync 2010 server and once I complete my Lync 2013 step up my plan is to move users one by one to Lync 2013 from Lync 2010. 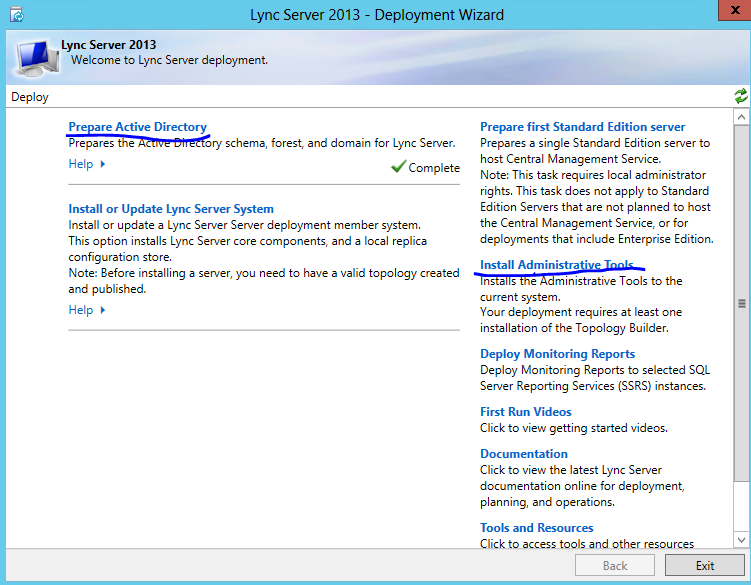 So users will not face any issues if we go for Lync 2010 and Lync 2013 coexistence. 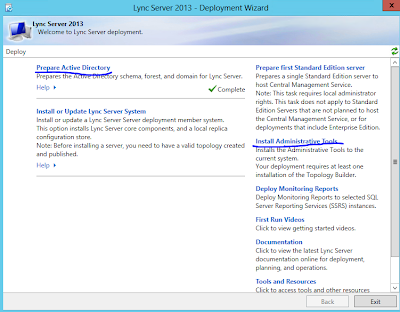 First run Lync 2013 deployment wizard to Prepare Active Directory and Install Administrative Tools as shown below. 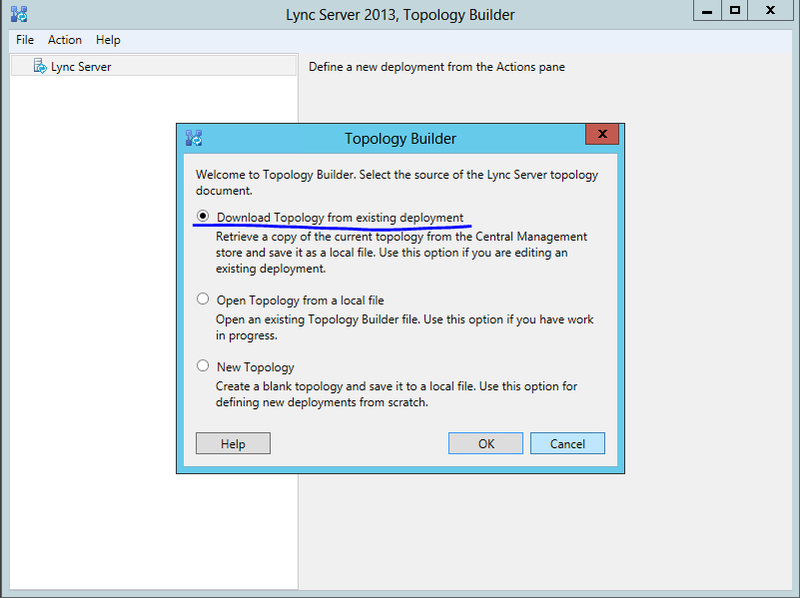 Once you install Administrative Tools, Open Lync Server 2013 Topology Builder select "Download Topology from existing deployment" . 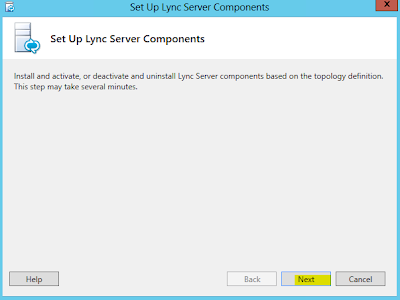 This step will download existing lync topology & then we can add new Lync 2013 pools. 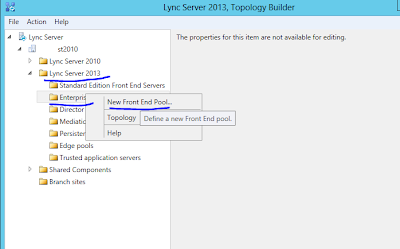 New Topology builder three categories as below i.e. 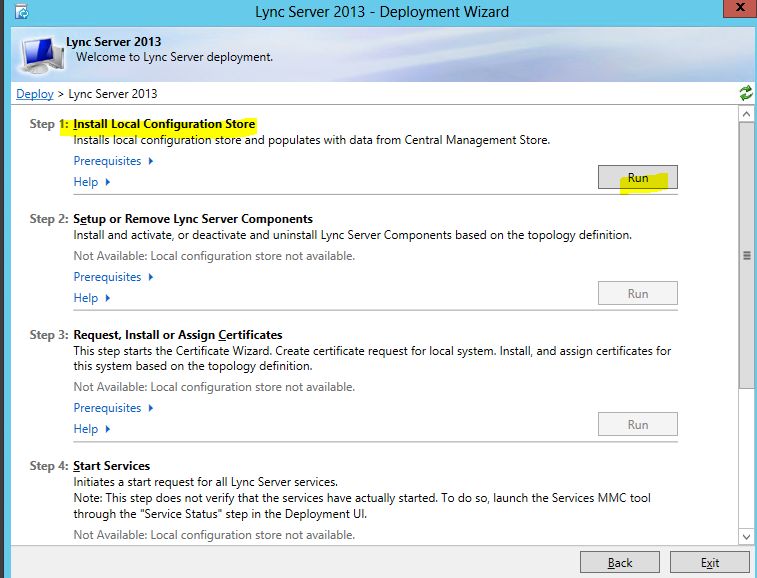 Lync Server 2010, Lync Server 2013 and Shared Components. 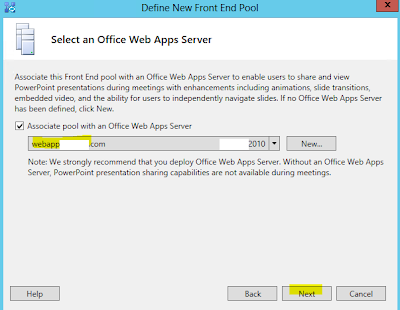 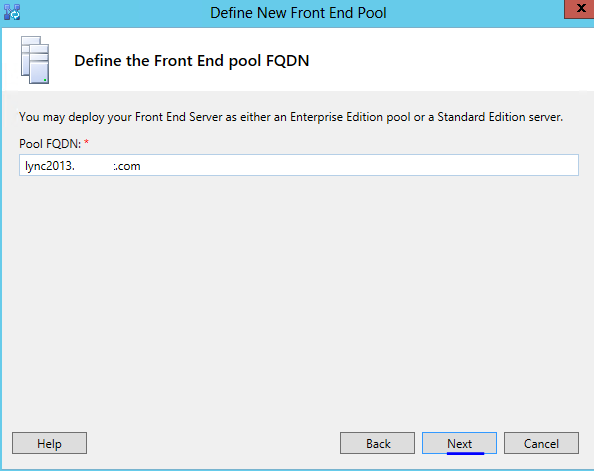 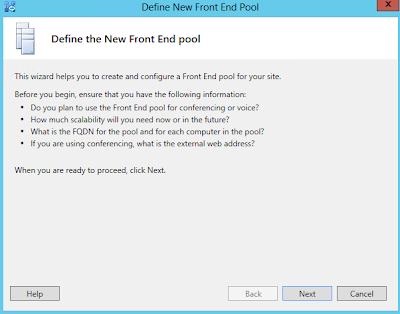 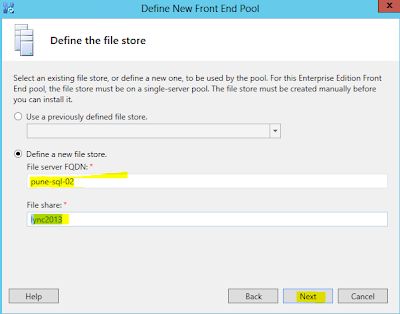 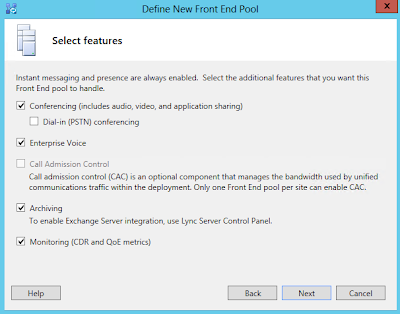 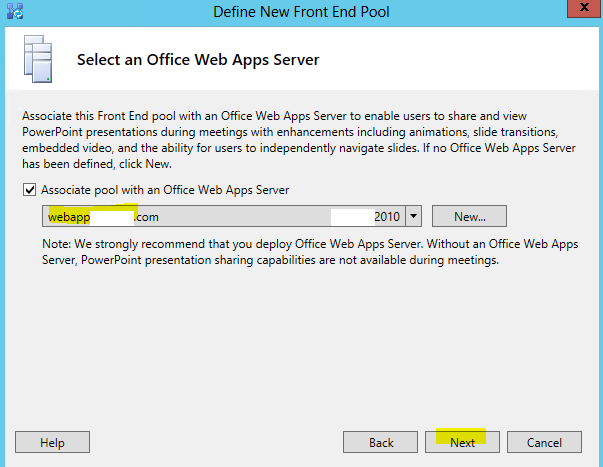 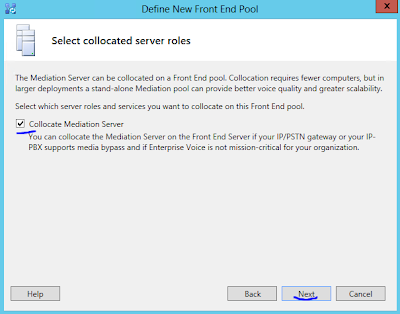 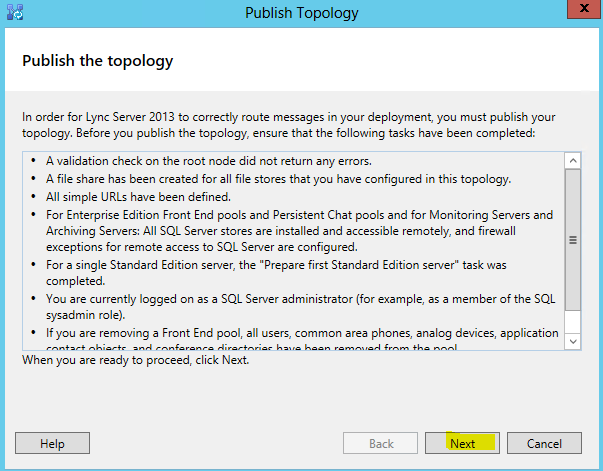 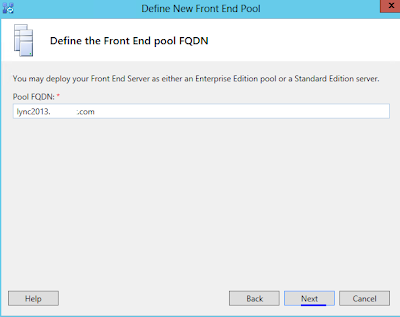 Navigate to Lync Server 2013, Right click on Enterprise Edition Front Server and select New Front End Pool as shown below to add new Lync 2013 pool. Add Computer FQDN that will be name of your Lync 2013 server & click Next. 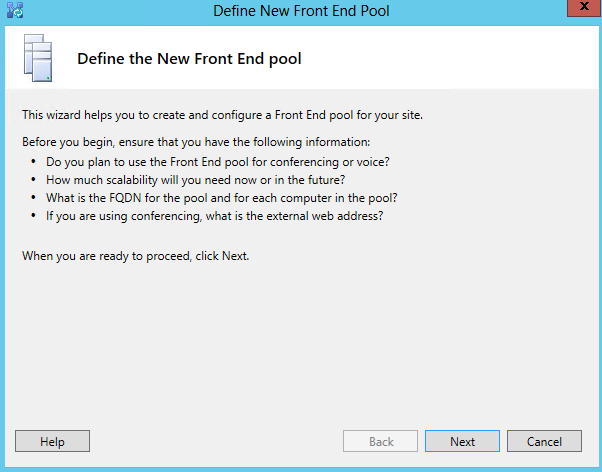 Enable Conferencing, Enterprise Voice and Archiving & monitoring if you going to use it. 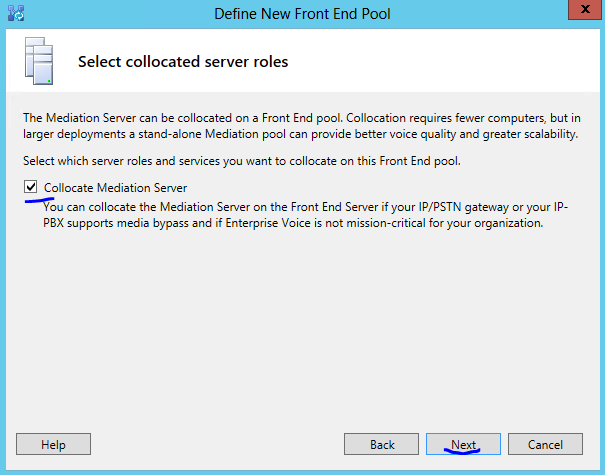 I am going to Collocate Mediation Server on Front End server so select the same & Click Next. 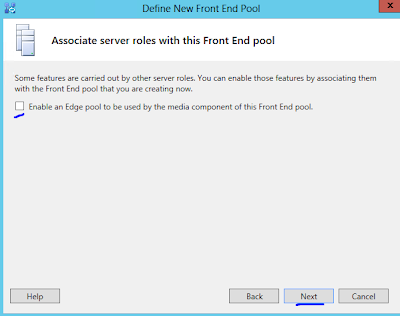 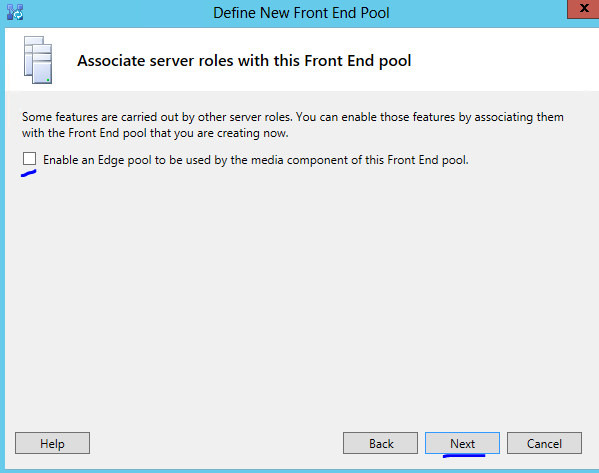 Currently I do not have edge server in my test lab so I have unchecked “Enable an edge pool to be used by the media component of this front end pool”. 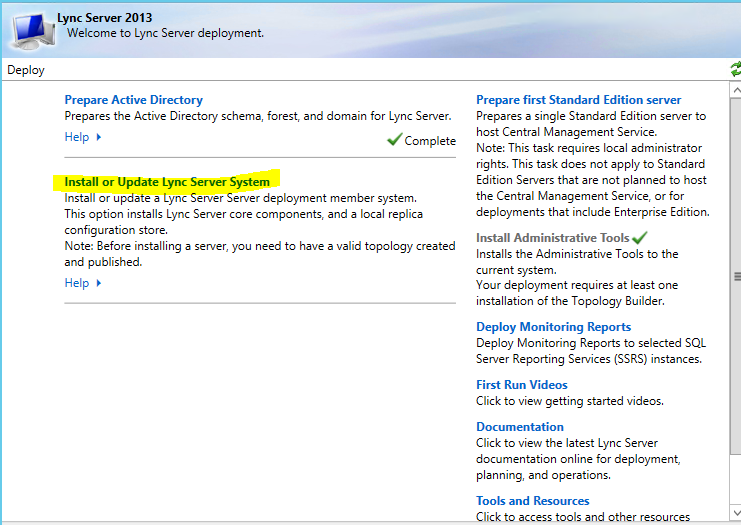 I am planning to use existing Lync 2010 Edge Server. 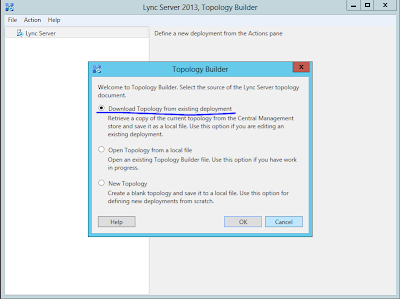 If you install Edge you select below tab by modifying topology via topology builder. 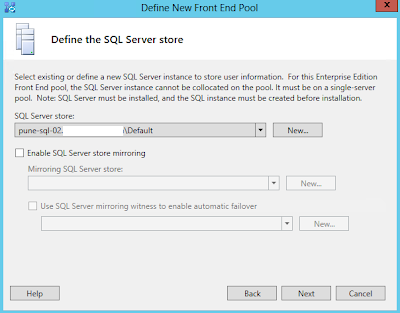 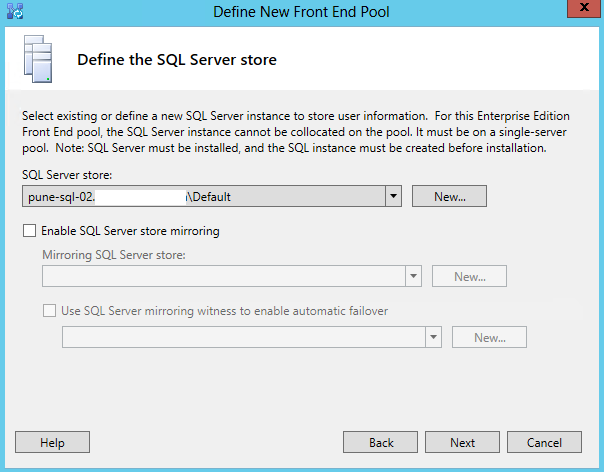 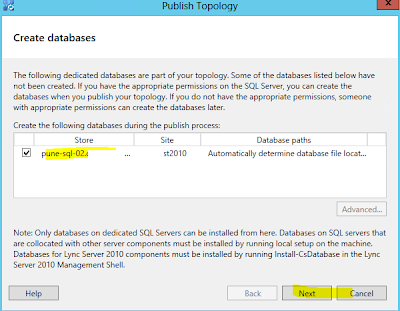 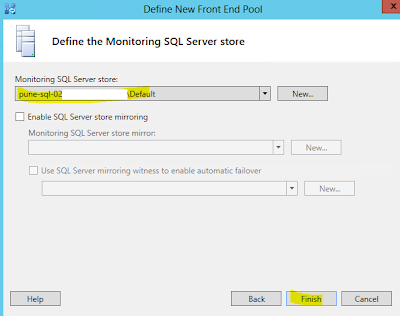 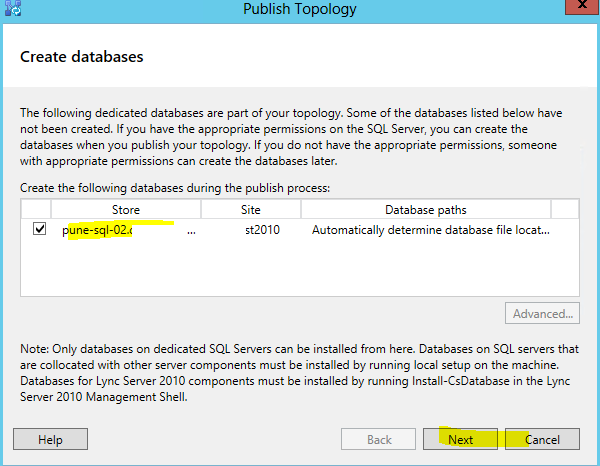 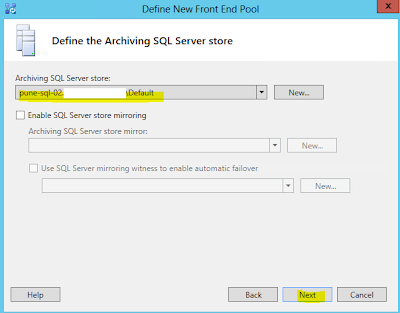 Define your SQL Server Store and click Next. 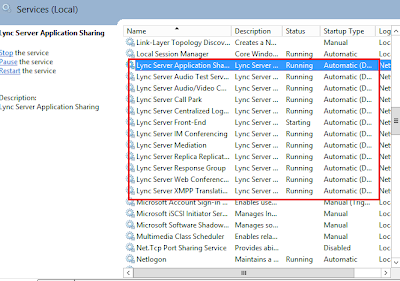 Note- For Lync Server 2010 & Lync server 2013 always use different web services URL as shown below else you face lync 2010 & lync 2013 mobility coexistence issue. 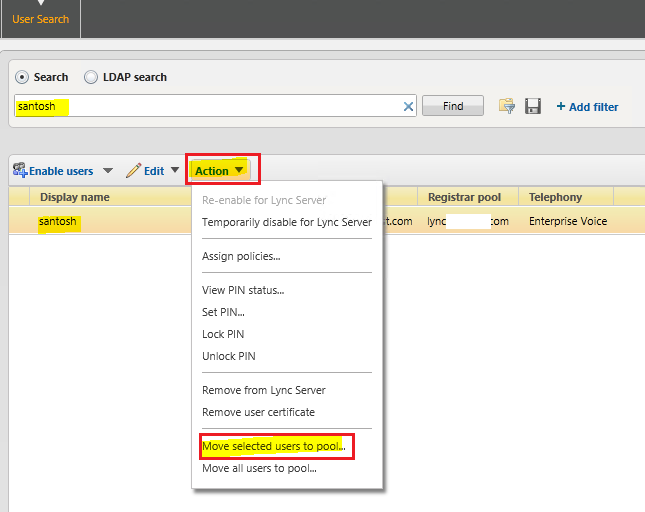 Provide Web Apps Server details by clicking New option. 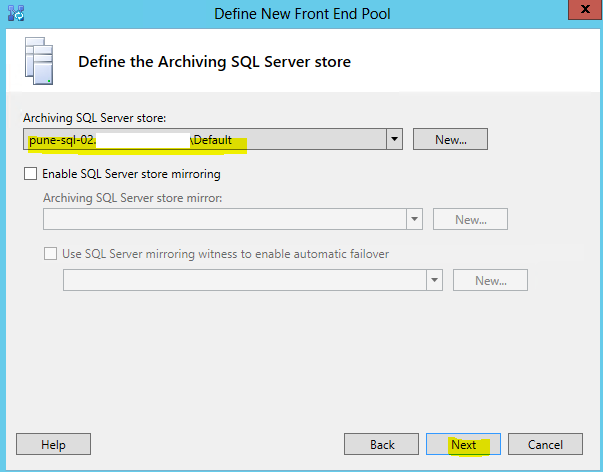 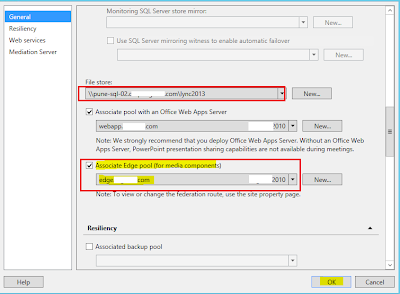 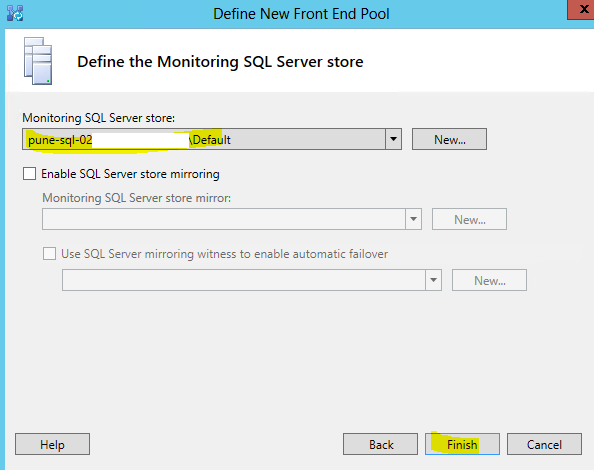 Define your SQL Server Store details for Archiving & monitoring server Role and click Next. 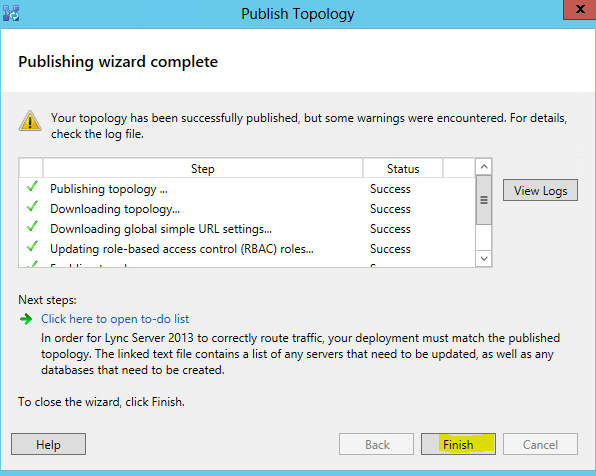 Once you published your topology, go to the Deployment wizard and select "Install or Update Lync Server System". 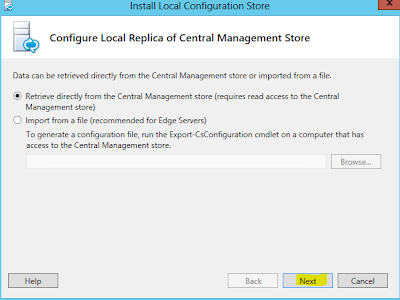 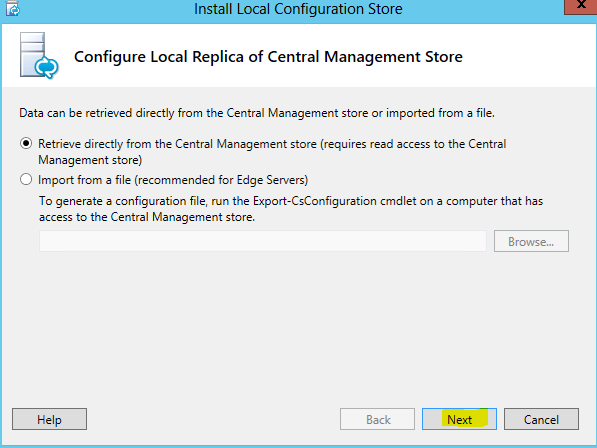 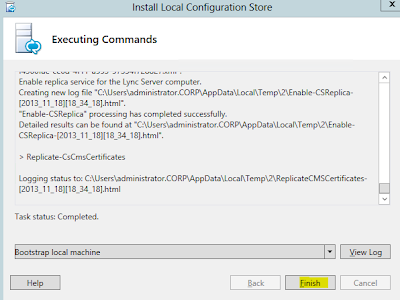 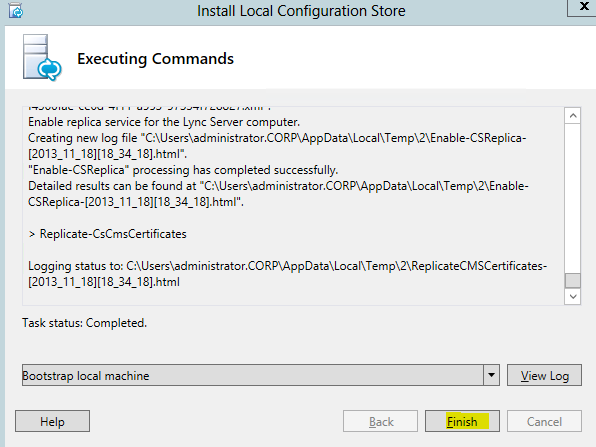 Now select "Install Local Configuration Store" and Click Run and complete the installation process as shown below. 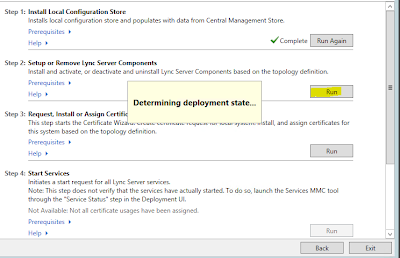 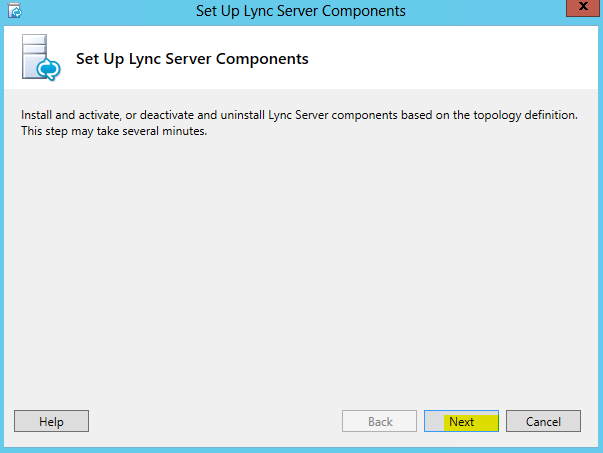 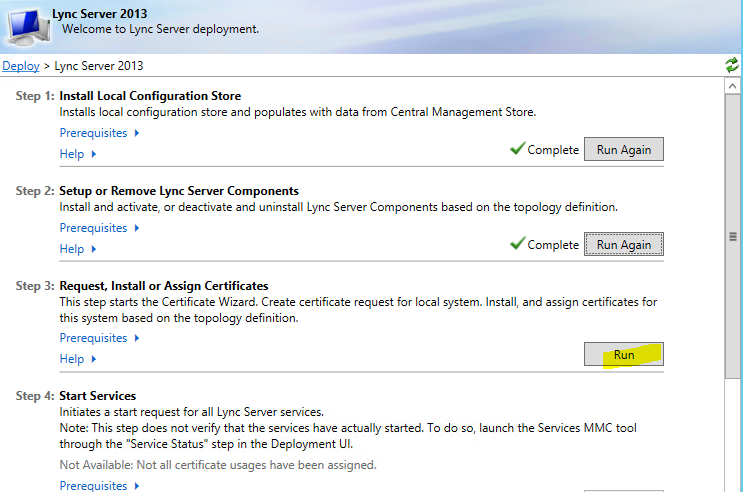 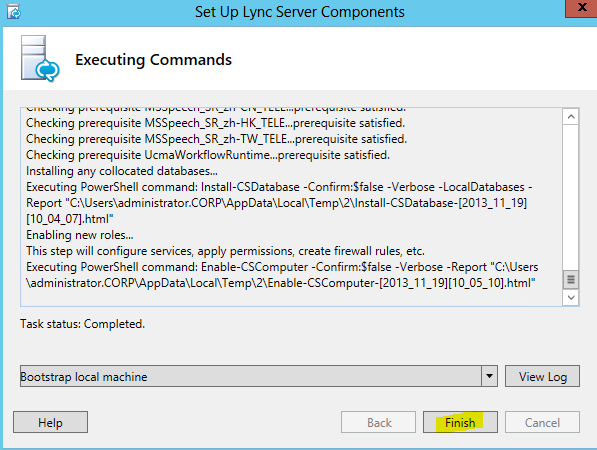 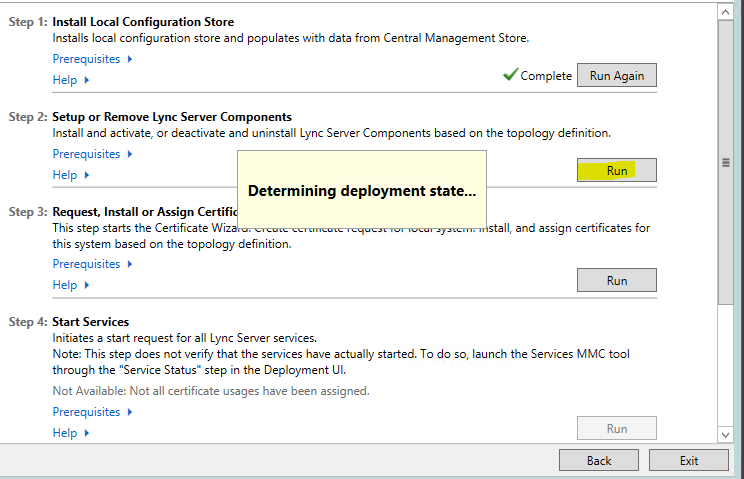 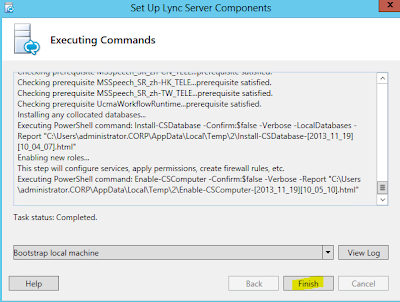 Now select "Setup or Remove Lync Server Components" and Click Run and complete the installation process as shown below. 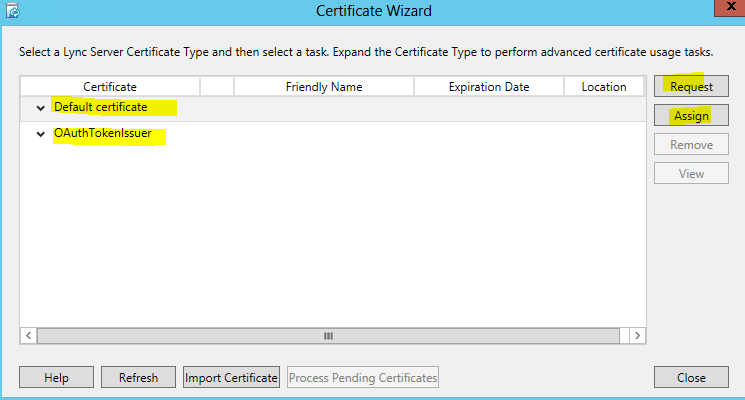 Now select "Request, Install or Assign Certificate" and Click Run and complete the installation process as shown below. 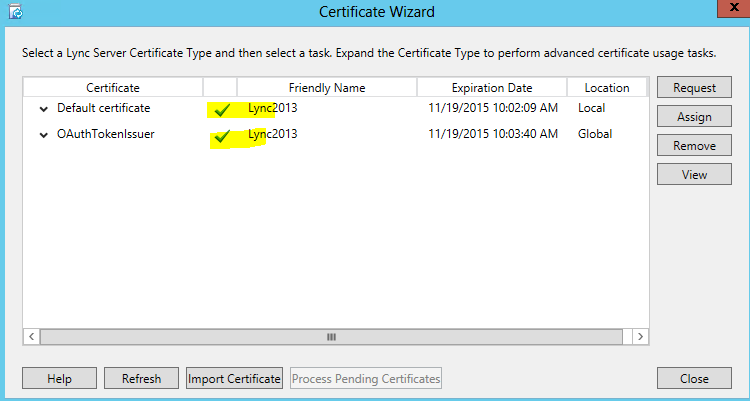 I have used Internal CA server to assign certificate to Lync 2013 server. 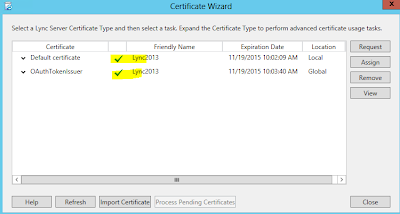 Once you complete the above process, verify that all Lync services are running. 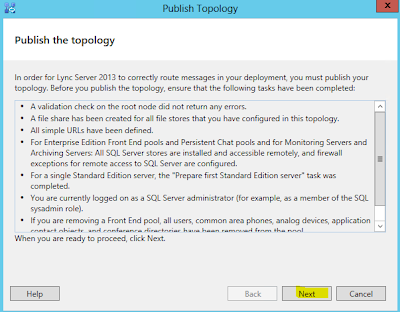 Now again open Topology Builder to make additional changes. 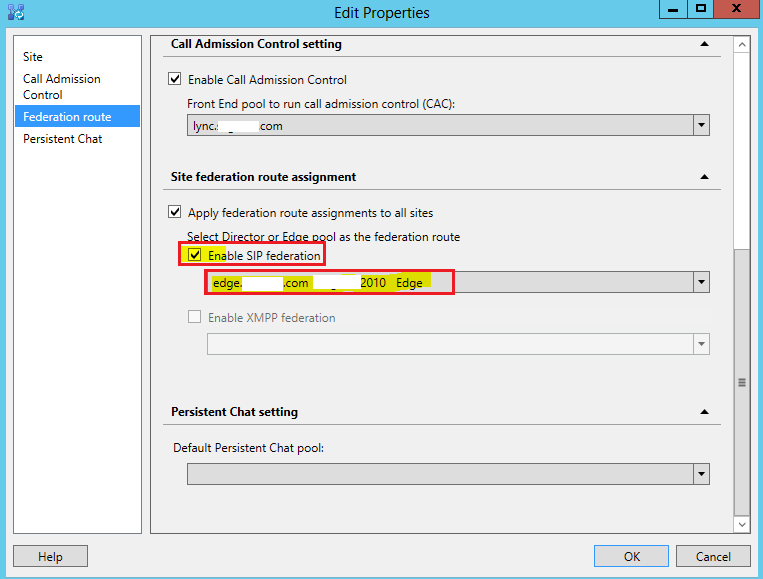 Right-click on site and choose Edit Properties and then Federation route and in Enable SIP federation I have selected my Lync 2010 Edge server and click OK. 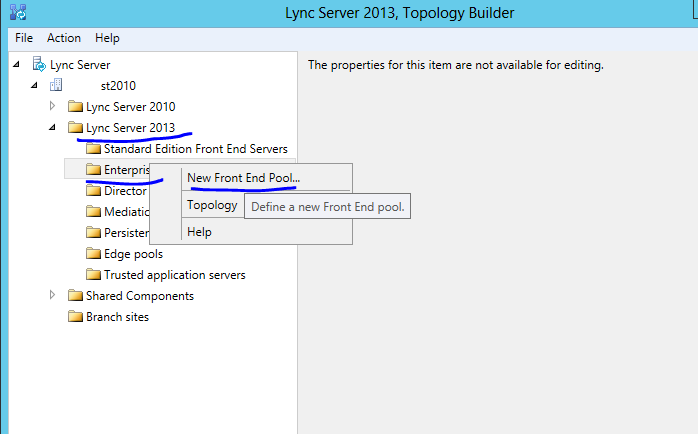 In Topology Builder right-click on new Lync 2013 server and select Edit properties-> General –> Associate Edge pool (for media components) here I have selected my Lycn 2010 Edge server, click OK and Publish Topology. 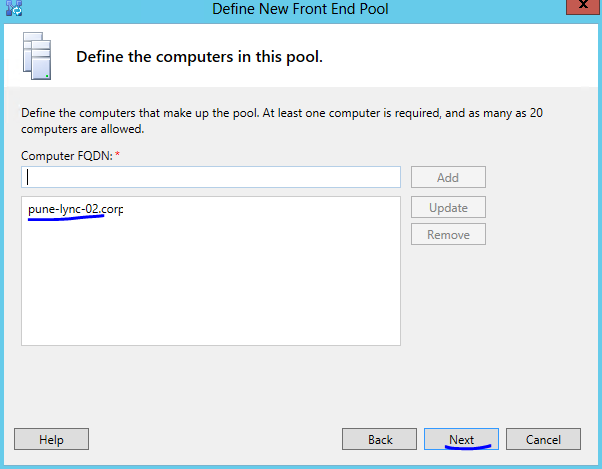 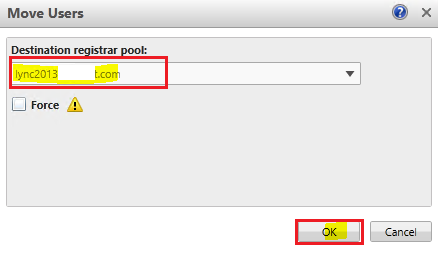 Select Destination registrar pool as your Lync 2013 server pool & click on OK.
Now user will be the part of new Lync 2013 server pool as shown below. 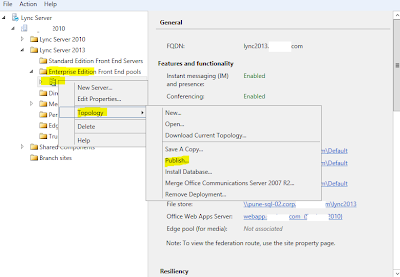 In Lync 2010 & Lync 2013 coexistence environment simple URLs can continue to point to Lync 2010 pool until and unless all users have been migrated to lync 2013. 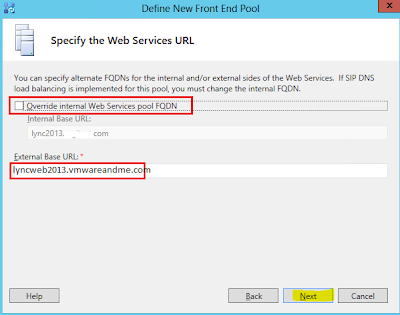 When you are ready to decommission your old Lync 2010 pool then you can point your simple URLS to new Lync 2013. 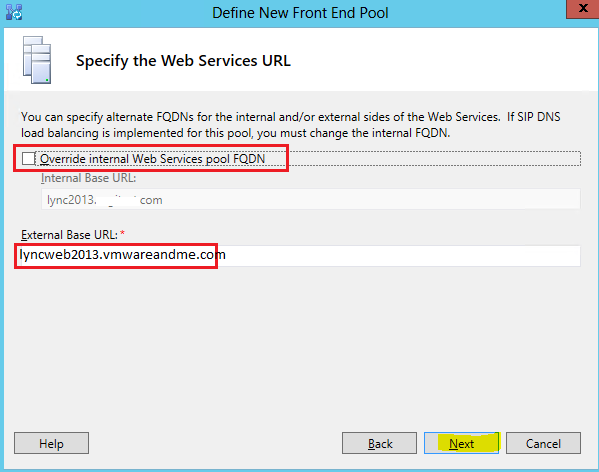 I have moved one user from Lync 2010 Pool to Lync 2013 Pool and users are using the same meeting URL (https://meet.vmwareandme.com) to join an on-line meeting. 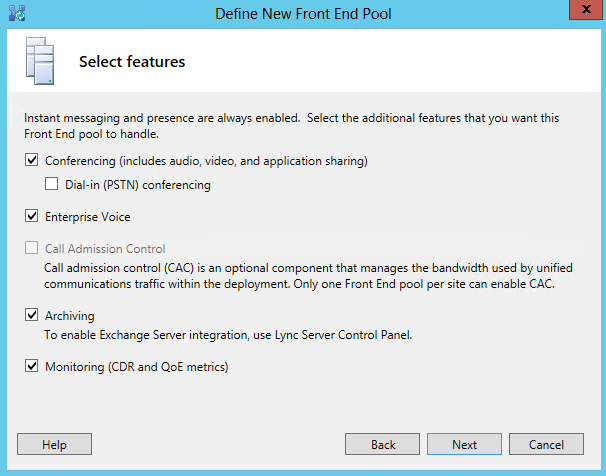 When users starts on-line meeting connection always goes to the Lync 2010 front-end server as that's where I have the meeting URL, but when I move my user to Lync 2013 meeting launcher will point me to the new lync 2013 pool. 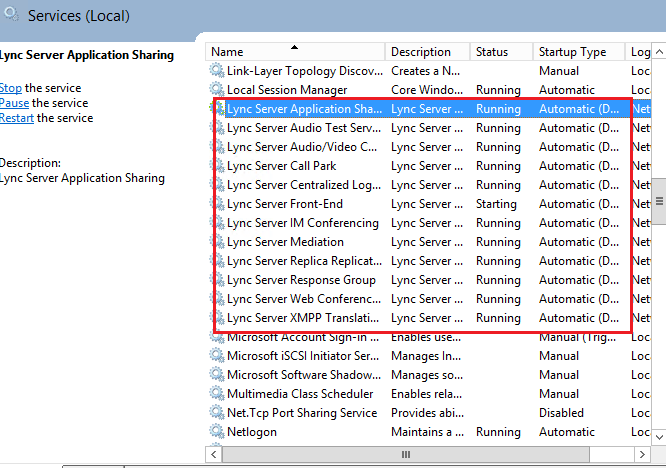 Lync Dialin URLs -> dialin.vmwareandme.com URL is pointing to our old Lync 2010 server and all Lync 2010 and Lync 2013 users will use the Lync 2010 dial in URL. 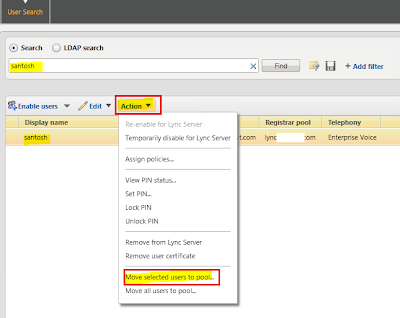 When user from lync 2013 pool logs in into the Lync 2010 dialin page no Lync 2013 redirection will occur. User can use the Assigned Conference Information from Lync 2013 Dial In URL. 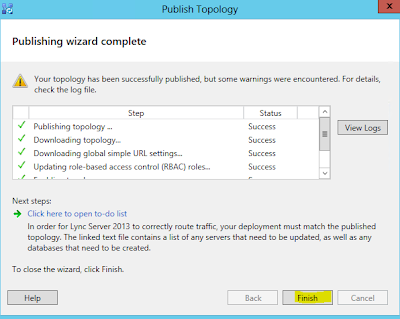 Mobiliy URLs -> Login to Lync 2013 Front End server & change Lync 2013 front end server web services URL to lync2013.vmwareandme.com & publish Lync topology. 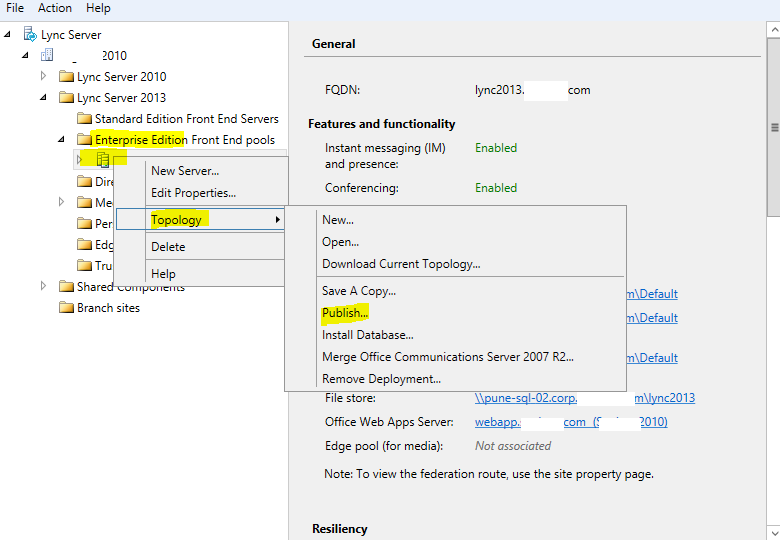 Do not use same web service for Lync 2010 & Lync 2013 else mobility will not work in coexistence.